With the summer boating season off to a good start for northern boaters, several manufacturers are promoting new products and money-saving promotions. Yamaha Marine Group is rolling out its VMax HPDI Summer Sale promotion. 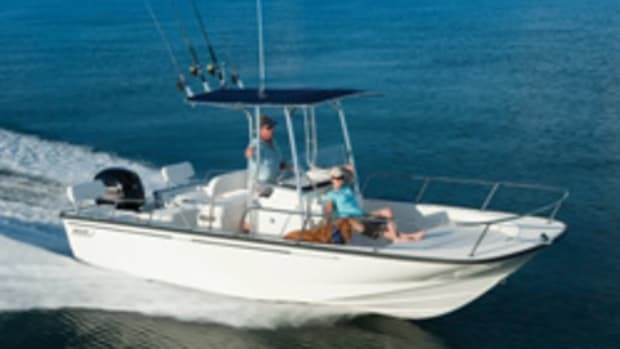 Eligible Yamaha outboards include new 150- to 300-hp VMax HPDI two-stroke outboards that are sold, warranty-registered and delivered to the consumer from June 1 through Aug. 3. Furuno recently announced the availability of C-Map by Jeppesen MapMedia charts for their NavNet 3-D system. Now, Furuno has added a rebate to put both cash and a free C-Map chart in a boater&apos;s hands. Furuno is offering financial rebate incentives, such as $200 on their 8.4-inch, 12.1-inch and Black Box Multi Function Displays (MFD). The company is also offering a free C-Map by Jeppesen MapMedia Chart for their NavNet 3-D system, valued at $300 and rebates from $100 to $300 on a variety of NavNet 3-D sensors and accessories. The NavNet 3-D Rebate + Freebate event runs until July 31. For details, visit www.furunousa.com or an authorized Furuno dealer. Interlux has introduced Fiberglass Bottomkote NT Antifouling, which is optimized using a dual resin blend - delivering a unique, durable and fast-drying antifouling paint that offers the benefits of both hard and ablative antifouling paints. Fiberglass Bottomkote NT has the durability of a traditional hard paint but with a slow polishing mechanism built-in that continuously smoothes and renews the active surface, avoiding the heavy build-up of paint layers like a traditional polishing paint, according to Interlux. The fast dry formula allows a boat to be painted and launched in the same day. For more, contact an Interlux dealer or visit www.yachtpaint.com/usa.